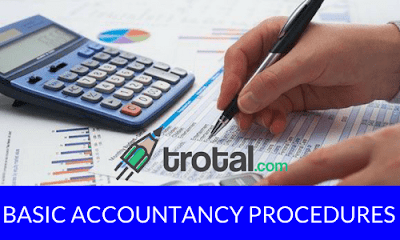 The practice and the art of the science of accounting are known as Accountancy whereas accounting may be defined as the identifying, measuring, recording and communicating financial information. The three main branches of Accountancy are Financial Accounting, Cost Accounting and Management Accounting. Identifying the business transactions and events. Measuring the identified transactions and events. Communicating the interpreted information to the users. Bookkeeping is a part of Accounting and Accounting is a part of Accountancy. Assets of a business concern are classified as Fixed Assets, Current Assets, Liquid Assets, Tangible Assets, Intangible Assets, Fictitious Assets and Wasting Assets. Liabilities of a business concern are classified as Fixed Liabilities, Current Liabilities and Contingent Liabilities. Accounts are classified as Personal Accounts, Real Accounts, Nominal Accounts and Valuation Accounts. Rules of Double Entry System in case of Personal Account are: Debit the receiver of the benefit and credit the giver of the benefit. Rules of Double Entry System in case of Real Account are: Debit what comes in and credit what goes out. Rules of Double Entry System in case of Nominal Account are: Debit all the losses and expenses and credit all the profits and incomes. Rules of Double Entry System as per modern system of Accountancy are: Debit the entry in case of an increase in assets/expenses/loans/drawings and credit the entry in case of the decrease in assets/expenses/loss. 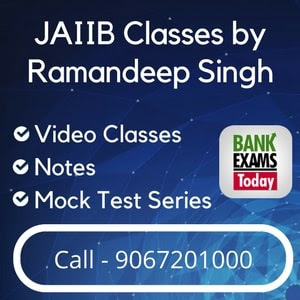 Similarly to debit the entry in case of the decrease in revenue/capital/liabilities and credit the entry in case of the increase in revenue/capital/liabilities. When double entry system is not followed, in that case, the business records are called incomplete records. Three basic assumptions of Accounting are Going Concern, Consistency and Accrual. Three Systems of Accounting are Cash System, Accrual System and Tax System but the Accrual System of Accounting is the most followed. Expenses or losses decrease the capital whereas profits or gains increase the capital. Drawings decrease the capital whereas additional capital brought in increases the capital. Journal is a book of original entry in which financial transactions are recorded in the order of their occurrence. Without narration, the journal entry is incomplete. Purchases Account and Sales Account are opened when goods are purchased and sold. When Fixed Assets or Investments are purchased and sold, the related accounts are debited and credited respectively. Expenses on account of purchase of fixed assets and investments are debited to the asset account itself whereas expenses on purchase of goods are debited to a separate expenditure account. Expenses on the sale of fixed assets and investments are deducted from sale proceeds and the profit or sale on account of disinvestment is calculated on the basis of net sale proceeds. In the case of expenses on account of sale of goods, these are debited to relating selling expenditure account. Trade Discount is calculated on the catalogue or the list price whereas the Cash Discount is calculated on the actual amount payable/receivable after deducting Trade Discount. Bank charges are not paid in cash but are debited to the party’s account by the bank and so the concerned bank account holder has to credit these charges to its books of accounts. Income-Tax, Insurance Premium, etc. paid on account of the proprietor/partner of the firm are to be debited to the Drawings account of the proprietor/partner. Ledger is a principal book which supplies consolidated information of cash account for a given period of time at one place. Cash Book may be defined as a primary book meaning for recording all cash including bank transactions date-wise with a brief description. It serves the purpose of ledger also. Cash column in the Cash Book will always have a debit balance for the opening and the closing whereas the bank column representing bank transactions may have debit or credit balance. The trial balance is a statement of debit and credit balances extracted from the ledger accounts and cash book. It is prepared to check the arithmetical accuracy of the books of account. The total of the debit and the credit sides of a trial balance must be equal. Depreciation is the permanent decrease in the value of an asset due to use/lapse of time. Reserve is an amount set aside out of profits meant to empower the financial position of a business and to meet the contingent liabilities. A bill of exchange is an instrument in writing containing an unconditional order, signed by the maker, directing to a certain person to pay a sum of money to or to the order of a certain person. Balance Sheet of a business unit discloses the assets owned by the business and the total claims of outsiders and owners against these assets at a particular point in time. The sum of liabilities and capital must be equal to assets.